Rumours have been circulating for months that Nintendo could have plans to release new Switch hardware in 2019. Though some reports indicate the Japanese gaming giant has plans to drop a more powerful version of the hybrid console featuring additional RAM, an improved LCD display and built-in storage, these most recent rumours take things in a different direction. 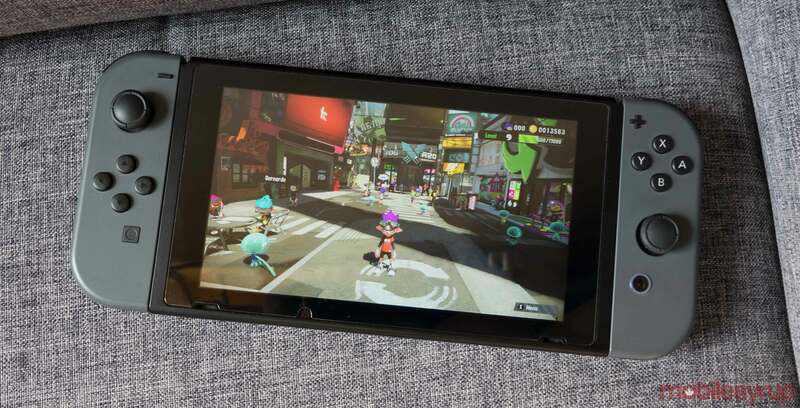 Nintendo could be planning to release a less expensive Switch model this year, according to a recent DigiTimes report that cites sources in the console’s supply chain. The report doesn’t state how much the more affordable Switch will cost or other details regarding this new version of the Switch. That said, Wedbush analyst Michael Pachter recently predicted that this more affordable version of the console will only work in handheld mode and that it is also set to feature built-in controllers, during a recent interview with GamingBolt. Pachter also went on to say that he believes the console will be priced in the $200 USD range (roughly $267 CAD), a number that’s significantly under the Switch’s current $379 CAD price tag. “My guess is that Nintendo will take the Switch and get rid of the ‘Switch’ part, so it’ll be handheld only. They’ll probably just make the Joy-Cons part of the integrated body of the tablet, and probably drop the price. Get rid of the docking station, and the external power supply — just turn the thing into a handheld that’s rechargeable with a power cord, you know, like a normal handheld, and charge $200 for it,” said Pachter in the interview with GamingBolt. Interestingly, Pachter also refutes earlier rumours claiming Nintendo has plans to release a more powerful version of the Switch. Nintendo took this approach with the ‘New 3DS,’ the upgraded version of its 3DS handheld. Few 3DS titles took advantage of the horribly-named ‘New 3DS’ upgraded hardware, with Xenoblade Chronicles 3D being the most notable game to hit the system. However, Nintendo hasn’t yet made a similar hardware iteration to any of its home consoles. Regardless, it will be interesting to see what price point Nintendo’s more affordable Switch console hits if it does exist. Update 01/25/2019: Shuntaro Furukawa, Nintendo’s president, recently made the following statement regarding the possibility of the company releasing a new version of the Switch in the near future. “It is an extremely ambitious, but worthwhile achievement. So, we will maintain this goal. Nintendo Switch is our primary sales objective, and we are not considering a successor or a price cut at this time,” said Furukawa in a recent interview with The Sankei News.